InVigor canola hybrids revolutionized the industry by delivering vigorous early season growth, uniformity in height and maturity, superior genetic potential for yield and – most importantly – the ability to consistently outperform other hybrids and canola varieties, even under stressful growing conditions. That's why InVigor continues to dominate yield rankings in a multitude of trials. InVigor canola hybrids are combined with the LibertyLink® trait that enables growers to rotate nonselective herbicides on a farm basis. LibertyLink canola has built-in resistance to Liberty® herbicide, delivering nonselective post-emergence control of broadleaf weeds and grasses, including weeds resistant to glyphosate and multiple herbicide classes. Harvest flexibility with great yield protection. Continually leading the way in new traits and strong yields. 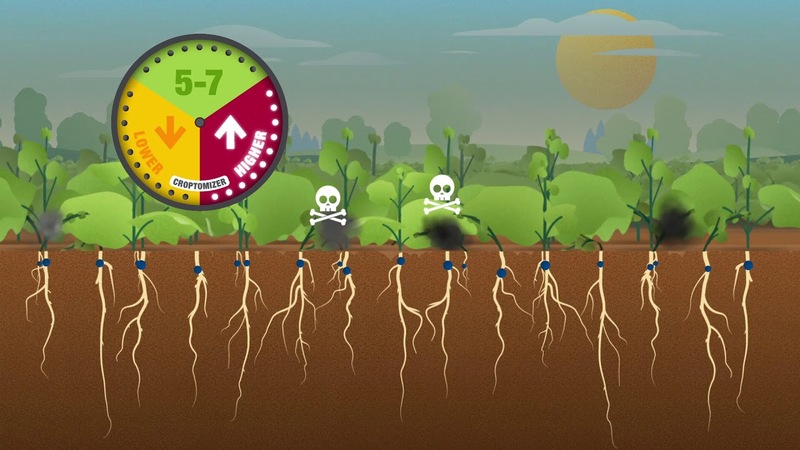 Featuring new second-generation, multi-genetic clubroot resistance traits. Game-changing pod shatter reduction technology. Fits into an effective weed resistance management plan with LibertyLink and Liberty herbicide. Straight cutting and delayed swathing allows pods to fill for a longer period of time, resulting in larger seeds, a fuller pod and potential for lower green seed counts. This technology may also reduce the amount of volunteer canola in your fields by ensuring the seeds end up in your combine hopper at harvest, minimizing management challenges in future growing seasons. Late swathing reduces the timing pressure of a large-acre harvest and increases combining flexibility, allowing you to leave the crop in the swath longer. Straight cutting, if timed correctly, can offer growers a yield and quality advantage by allowing them to harvest a more mature crop. Growers often harvest canola with the same swather and combine as cereal crops, with some adjustments. Growers choose late swathing to hasten the drying rate of their canola, ensure even ripening and reduce the possibility of seed losses from wind and hail. InVigor L140P, L233P, 234P and 255P with patented pod shatter reduction technology from BASF, gives growers the flexibility to consider delayed swathing or straight cutting at harvest. The unique pod shatter reduction technology protects the seed left in the pods from pod drop and premature shatter. Liberty use on InVigor canola hybrids with the LibertyLink trait provides an excellent means for growers to rotate non-selective herbicide systems to effectively manage tough to control weeds. For maximum yield potential in canola, hit the sweet spot in plant population. Based on extensive research on InVigor Canola from BASF, the recommended plant population is 5-7 plants per square foot. See how to get the most out of your canola acres with InVigor Canola and a targeted plant population plan. 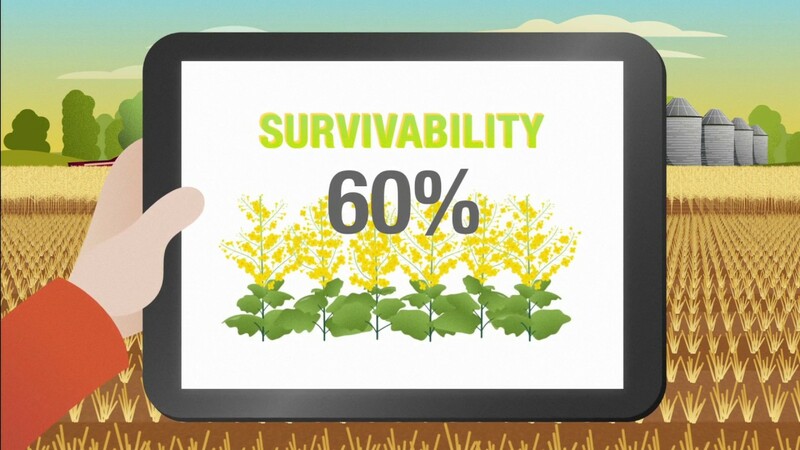 For maximizing canola plant survivability, start with getting the right seeding rate. After years of research, the InVigor Product Excellence team has determined a recommended seeding rate of 10 seeds per square foot, based on an expected 60% survivability rate. See all the ways you can get the most from every acre.